Recently in Toronto, an eCommerce mattress company is creating a buzz marketing around the city and redefining your imagination of shopping for mattress. From radio ads the traditional 680News to pushed ads on various social media sites, Casper bombarded media channels, and want to sell you mattress shipped in a box. Despite how comfy the mattress is, Casper definitely gets a firm handle of social media marketing and it is worthwhile checking out what we can learn about social media marketing from this rising start-up. Today on social media, consumers are greatly empowered to shield away unwanted ads, social media ads which simply provide no to minimal value to consumers, especially those without entertainment factors normally don’t draw much attention. Casper has done great job by understanding the difference between traditional media ads and social media ads, and the company applies very diverse approaches. On traditional media such as 680News, Casper highlights product quality, comfort and hassle free return as most companies do – advertising company value. However once you log onto Casper’s social media sites, there is merely any product content. From celebrating extra hour of sleep when the day light saving time ended, to Insomnobot3000 which will text people who have hard time falling asleep, these are all about value to consumers. 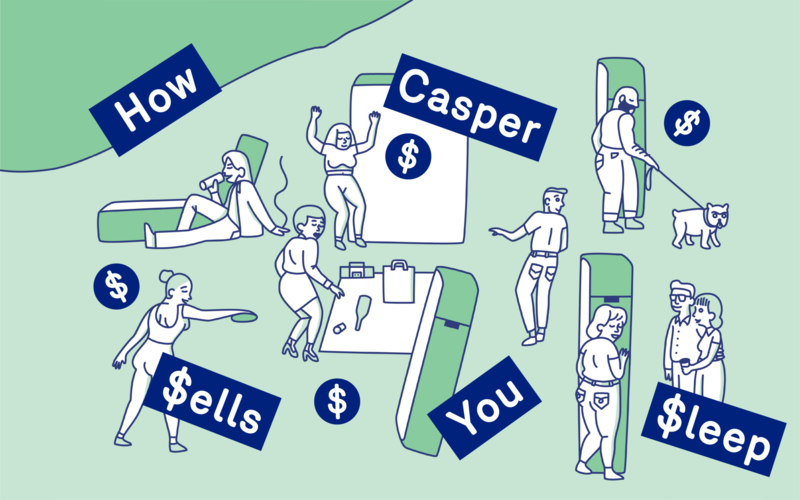 Instead of sell you mattresses online, Casper is selling sleep. Who want to shop for mattress online? Apparently the company mainly focus on younger generations who are strongly attached to social media communication. Beside the online ads via ADwords and Facebook to targeted online user demographics, the company also realize social media customer service isn’t 9-5 any more, Casper’s social media team answer to tweets in average every 5 minutes. all the extraordinary effects help to drive sales to $20M in 10 months. Most common mistake companies made over social media is to broadcast company value in boring and dull one-way communication. But Casper’s Facebook and Twitter has unusual soft and approachable persona. On Twitter, Casper don’t try to sell you mattress, and you hardly find key word “mattress” in their tweets, instead their tweets talk about holidays, coffees, and lifestyles. It is actually fun to follow and interact with Capser on Twitter. When people rave about Casper, their Twitter actually replies back in a human form. How a mattress company engage online conversation and still be fun for consumers? Again, the secret is not to talk about your products directly. Back in 2015, Casper rolled out Van Winkle’s, an independent editorial media site publishing contents on all things sleep. With annual budget of $1 million, the only rule is that do not write about mattress. According to Van Winkle’s editorial director – Jeff Koyen. Companies need to learn the uniqueness of social media compare to traditional media, and understand how to apply different marketing strategies over social media. The foundation of social media marketing is providing value to consumers, be approachable and fun for consumers to engage.